The McDonogh boys soccer team, which is now ranked No. 4 in the VSN Boys Soccer Top 20, traveled to Archbishop Spalding on Sunday morning to complete game that was suspended by weather last month and the Eagles came away with a 3-1 loss, their third setback in their last four games. Spalding led the contest 1-0 when it was suspended, with just 42 minutes to play, on a goal by Leo DePole. 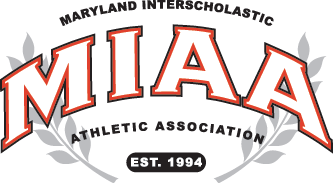 When action resumed, McDonogh tied the game, but the Cavaliers responded with scores from Finn Beaubien and Henry Hardart to claim the 3-1 MIAA A Conference victory. Luca Mazzola and Andre Tenorio had assists for Spalding and Daniel Ashbeck made six saves. It was the start of grueling final week of the regular season for McDonogh as it attempts to finish at least second in the leading standings and get a first round bye for next week’s playoffs. On Monday evening (6:00 p.m.), McDonogh will be at top-ranked Loyola. On Tuesday, the Eagles have a rematch with Spalding at home, before going to John Carroll on Thursday and hosting Calvert Hall, on Friday, to close their regular season. Currently, McDonogh (8-3-1) is tied for third place in the conference, with 25 points, with Archbishop Curley. and four points out of second, held by Gilman with 29 points. However, with four games left, the Eagles have the opportunity to gain as many as 12 points, should they get back on track. Curley has just one league game left and Gilman has two. To overtake Gilman, the Eagles probably need at least nine points and maybe all 12. Spalding (7-10 overall) snapped an eight game losing streak with Sunday’s victory and improved to 4-10 in the league. In addition to Tuesday’s game at McDonogh, the Cavaliers will host Mount St. Joseph on Thursday.